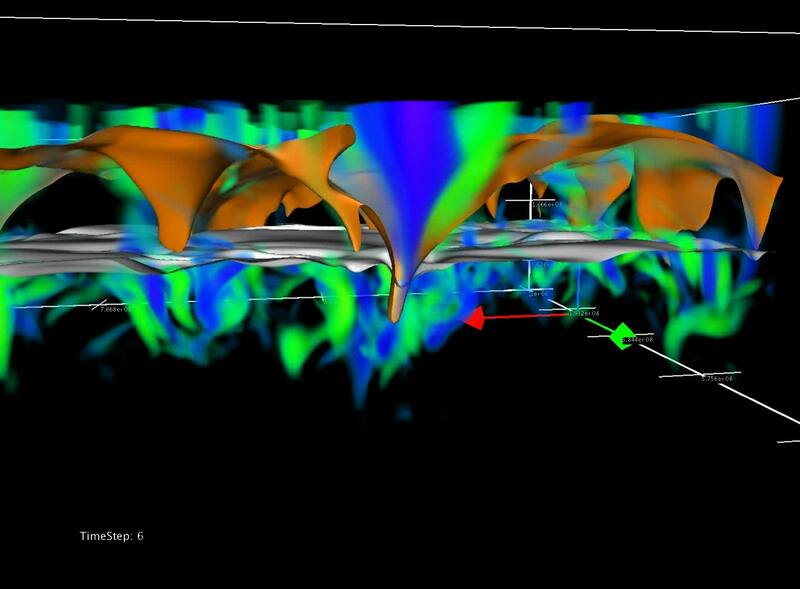 The sequence shows the evolution of dynamic structures resembling tornadoes in the solar atmosphere. The blue and green color scheme shows the vorticity in the solar atmosphere in the regions where solar tornadoes appear. The reddish contour shows the dynamic evolution of the $\beta=1$ layer, the gray contour displays the $\tau=1$ layer. The visiualization was done using VAPOR.